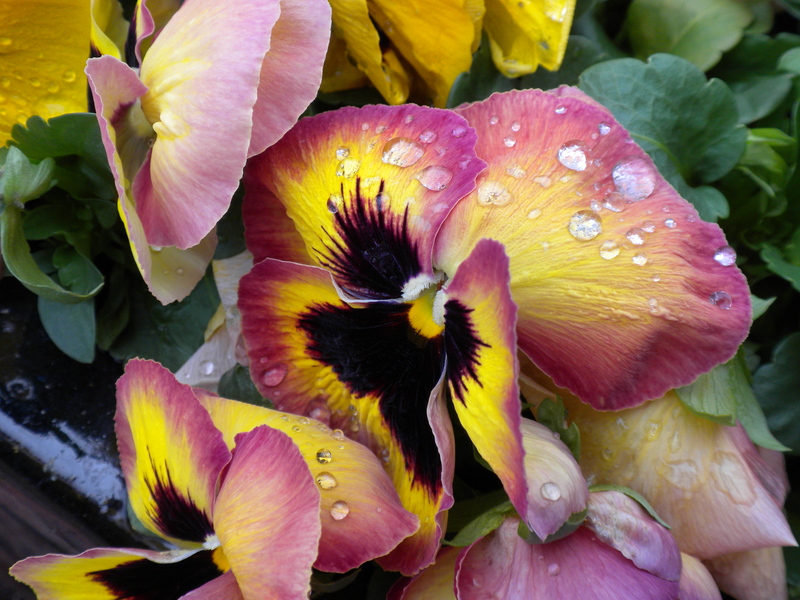 A pretty pansy. We’ve got lots of these. Bubbles in one of my little ponds. 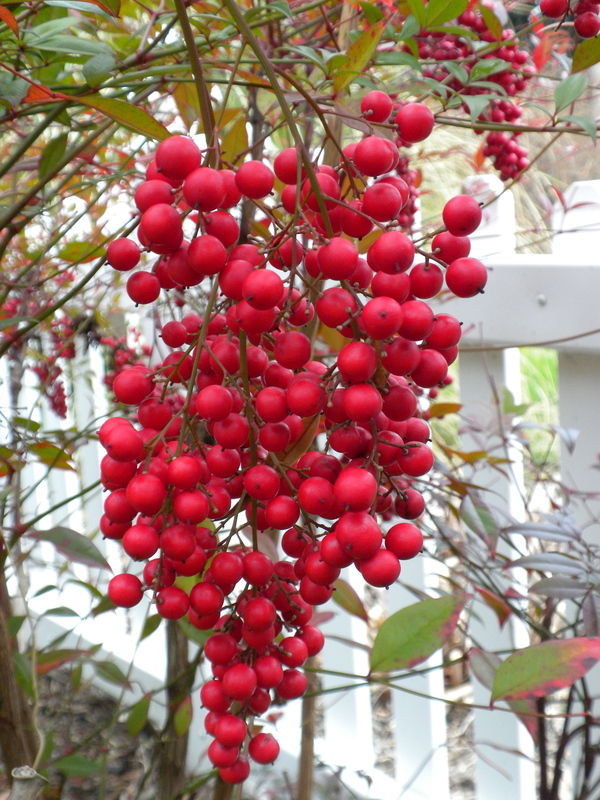 Nandina berries. We’ve got lots of these, too. 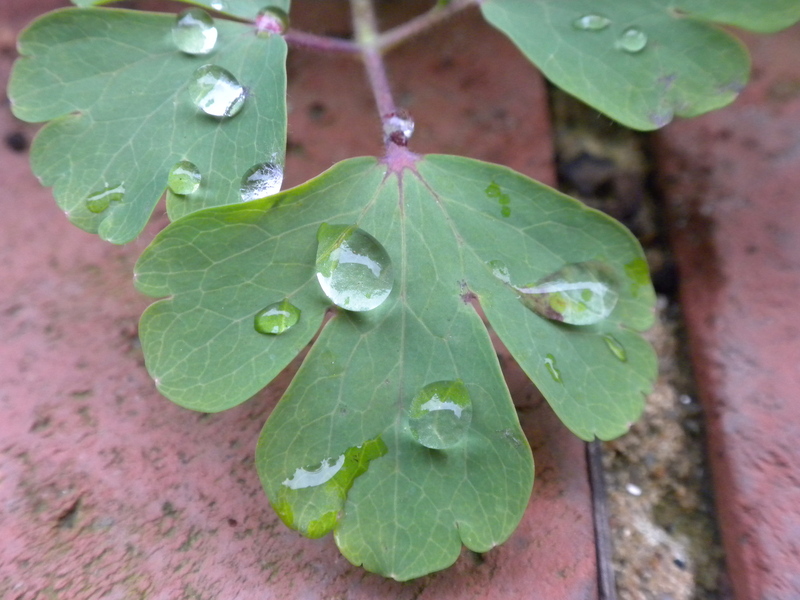 Water droplets on a, um, can’t remember what this thing is called. There you have it. That’s what it’s like at Our house. Stay tuned for the next installment of — wait for it — THE PEEPS’ PAGE! Oooh, my mama just discovered the Peeps’ Page. She looooooooooooves it! Such pretty, pretty pictures. She likes flowers, too! Deep thought! Thanks for cotritbuning. 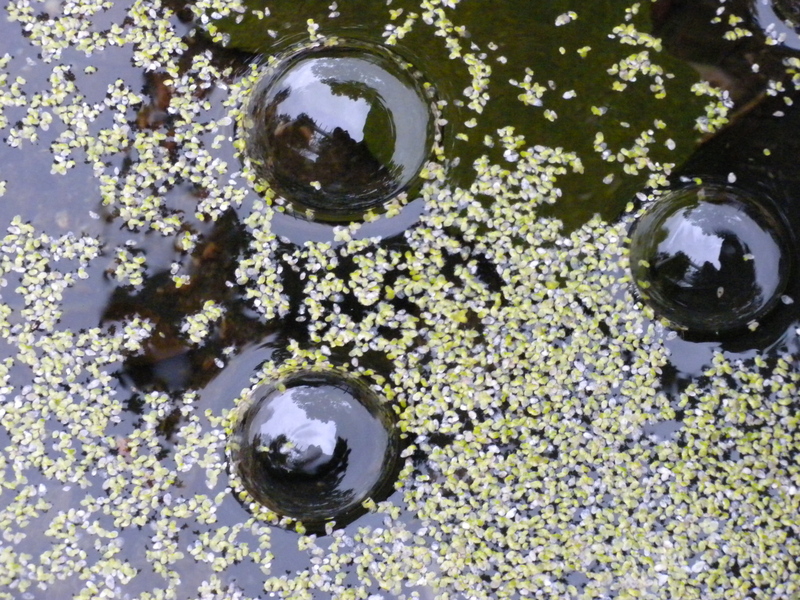 I like da ‘Bubbles in one of my little ponds’ pic. Great pic. Hey Stu! I think the pretty green leafyies are Gingko. They are seriously pretty pics! Hey pal! OH….you may be right. Thanks for weighing in with your knowledge.